Our Safe Tread flooring has been installed into the beautiful surroundings of Snape Maltings in Suffolk. 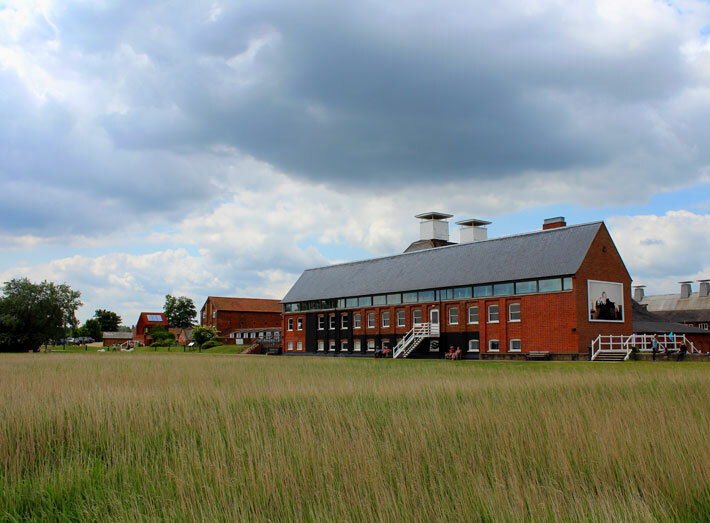 The world-renowned Snape Maltings Concert Hall is situated alongside the River Alde, and the venue is also home to an array of independent shops, galleries and eateries. Snape is a stunning place to visit boasting strolls along its many boardwalks to view spectacular sculptures by Henry Moore and Barbara Hepworth. "Health and safety is at the forefront of our minds. We want people to enjoy our boardwalks, but the area can get slippery when wet, so we wanted to ensure we could create a safe environment for all our visitors to enjoy." They continued: "Sui Generis did a great job; their Safetread flooring is very durable and long lasting. Thanks to the flooring's fibreglass gritted flat sheets it will create safe pathways for many years to come. Working with Sui Generis was very easy from the point or order through to delivery; we would be very happy to recommend them." Sui Generis' Safe Tread flooring has been designed to be fitted to floors, walkways, disabled access ramps, bridges, landing areas, platforms, piers and pontoons, and offers a quick and cost effective solution to improving safety in potential slip hazard areas. "Sui Generis did a great job; their Safetread flooring is very durable and long lasting. Thanks to the flooring's fibreglass gritted flat sheets it will create safe pathways for many years to come. Working with Sui Generis was very easy from the point or order through to delivery; we would be very happy to recommend them."